Cindy Nolan, Managing Director of Green Quotient Training, is a qualified Facilitator and an Accredited Assessor with BEE level 4 status. She has more than 20 years’ experience in Resource Management and Training within large International and National Retail, Manufacturing, Construction and Professional enterprises. Working with Accredited Green Skills Professionals and having completed the Greens Skills Workshop with the Green Building Council, Cindy has been developing and training Greens Skills at all levels. Cindy established the Company in 2011 following extensive work and research done with accredited green skills professionals within the Construction Industry. It was during this period that she realised that sustainability is fast becoming a vital component of all living and development. Enterprises are being asked to become responsible Corporate Citizens, integrating the principles of sustainability into every aspect of enterprise development. She found that a lot of companies have understood and responded to this need and have concentrated on aligning the physical attributes of the enterprise to meet sustainable objectives but have not yet up-skilled employees to support the process. In order to achieve sustainable initiatives, all enterprise resources need to be aligned and in particular that of Human Resource. Failure to address existing paradigms and up-skill management and staff on sustainability and the need to work and produce in a sustainable manner, will prevent the achievement of even the most well intended green initiative. It is not only customers and shareholders who need to see corporate investment in sustainable initiatives. Leaving behind key human resource to remain in a paradigm trapped in the past will not support sustainability, its competitive advantage and the critical need for change. 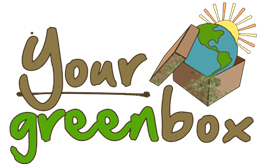 Green Quotient Training has worked extensively with national youth in South Africa providing training interventions which identify traditional/existing methods and materials for construction and alternative methods and materials which are both cost effective, practical and sustainable. Focus has been on changing paradigm to one which values our natural resources and embraces the change in behaviour needed to both live and work in a sustainable manner. Green Quotient (GQ) Training focuses solely on providing skills development and awareness on the need to alter existing behaviour to ensure a sustainable future within South Africa. The company has now completed further research on client needs and is offering Sustainable Living and Development programmes throughout various industries within South Africa. In 2012 GQ Training launched “The Green Parrot”, which is a schools programme with a mission to up-skill school children on the principles of sustainable living. The programme is aligned with the curriculum and encourages creative thought to stimulate young minds to come up with sustainable alternatives. Green Quotient Training is currently working on two new initiatives. The first, “Entrepreneurial Green” is a Skills Programme consisting of 10 Modules encompassing all business processes and systems. During the programme 4 businesses are identified, developed and established to either operate individually or as a co-operative. All Business plans, systems , processes and marketing strategies are put in place and delegates walk away with “ A Business in a Box”.